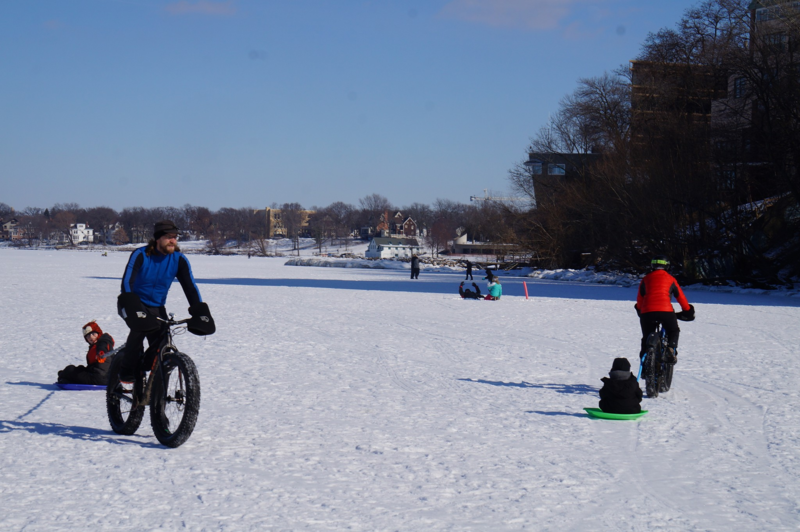 Winter Bike Week kicked off with the Frozen Asset Fat Bike Race on Friday, followed by Family Music at Cargo Bikes/Domestique and Capital Goldsprint at Motorless Motion on Saturday. And Kids and adults alike had a blast on Sunday at the Fat Bike Sled Pull. Sunday was also the start of the #MBWinterChallenge. The first photos have been posted already. Go get on your bike and participate as well! 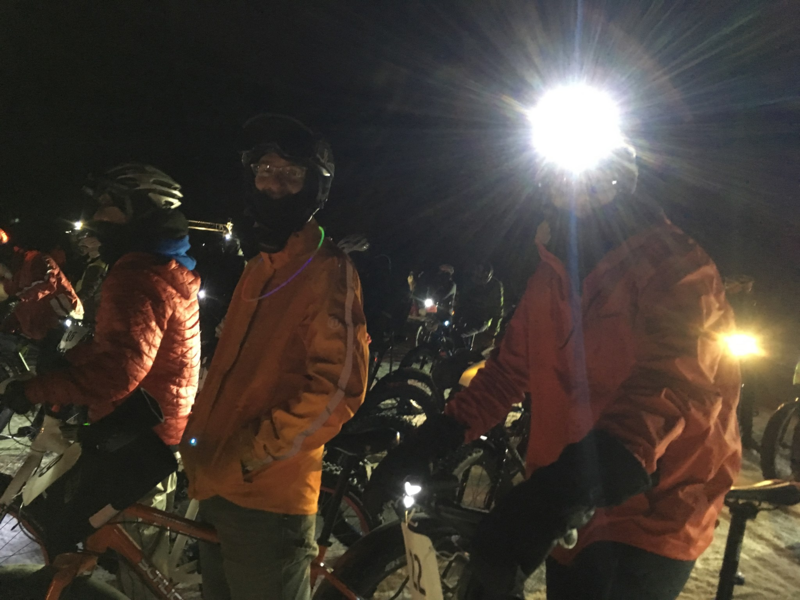 Winter Bike Week continues with commuter stations, bike rides, and our end of week party. Check our website for all the details! And in addition to all the winter bike fun, there are a couple items of business. Monday: The Transportation Ordinance Rewrite Committee meets again to continue their work on a potential rewrite of our transportation ordinance. Then at 6:30 there’s a public input meeting to review a draft concept of a proposed protected bike lane on Bassett Street. 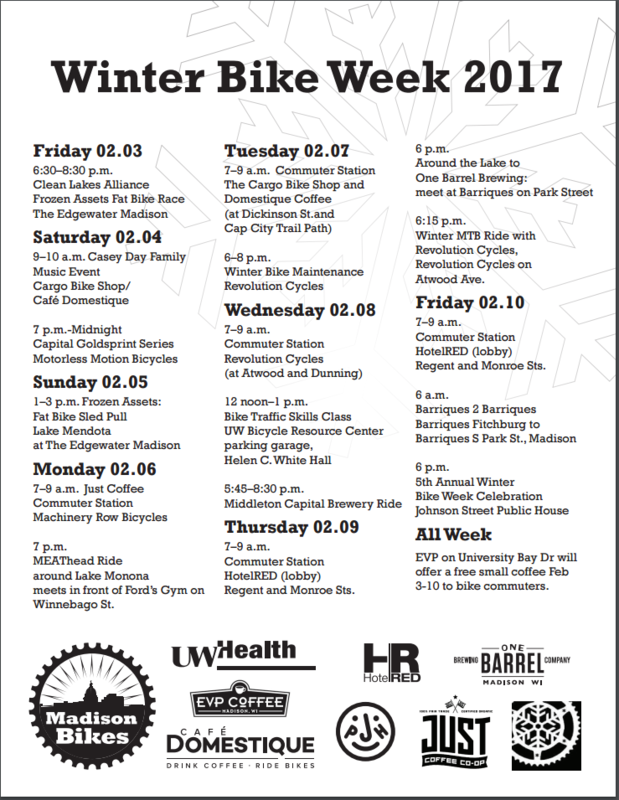 For details on any of these events, head to the Madison Bikes calendar. If you have an event that you’d like added, send the details to info@madisonbikes.org.